Millions of older Americans have been the victims of scams. Scams against seniors have become so prevalent, the FBI dubbed them “the crime of the 21st century” and created a website devoted to preventing and reporting this kind of fraud. Scammers can be very tricky, posing as creditors, tech support workers, insurance agents, and even loved ones. In fact, The National Council on Aging cautions seniors that many scams are perpetrated by a person’s own family, contributing to a figure of 90 percent of all elder abuse committed by adult children, grandchildren, nieces, nephews and other family members. Let’s take a closer look at how to identify scams and avoid becoming a victim. Fake prize scams. Usually received by mail, these scams say you’ve won a prize and will need to provide your bank account information to claim it. Report prize scams to the FTC online or call 1-877-382-4357. IRS and tax scams. Someone claiming to be from the IRS or another government agency calls with threats and demands for immediate payment. Report financial scams to the IRS by email or call the Treasury Inspector General at 800-366-4484. Medicare supply scams. You may receive a postcard or actual item in the mail, like a knee brace. If you give the scammer your Medicare information, they’ll bill Medicare for thousands of dollars. 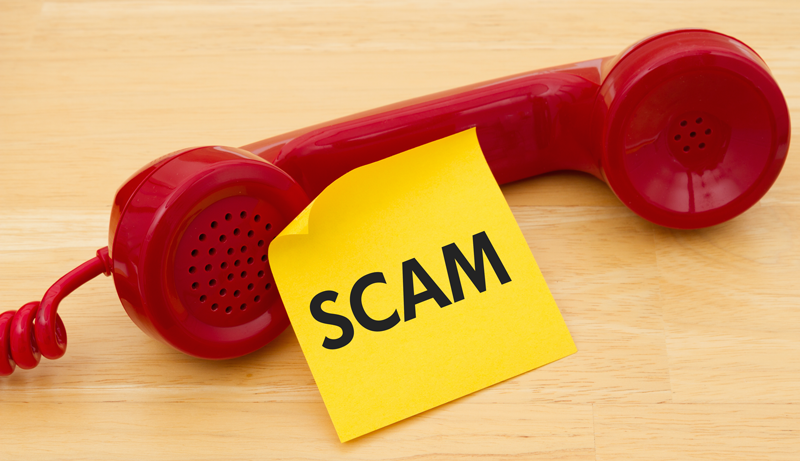 Report Medicare scams to U.S. Health and Human Services online or at 800-447-8477. What do all of the scams above have in common? First, they involve unsolicited contact from an outside organization. Be on your guard if someone suddenly contacts you by phone or mail with a surprising free offer or request for sensitive information. Second, these scams involve pressure. The fake prize company might say you only have 48 hours to claim your prize. The phony IRS agent might say someone is coming to your house right now to arrest you. Finally, these scams are committed by strangers. If someone is unknown to you, be wary of providing any personal information. The real FBI, IRS, and other legitimate organizations will never threaten you. That’s what scammers do. It’s hard to imagine someone in your family or circle of friends trying to scam you. Unfortunately, scams by loved ones - or people posing as loved ones - are a common phenomenon. These scams can cause confusion, sadness, and financial loss. The grandparent scam. In this scam, someone poses as your grandchild and asks for money. It might happen over the phone or even on social media like Facebook. These scams are sometimes perpetrated by actual family members who rely on your good heart to cloud your judgment. The check cashing scam. This scam is usually done in person. A friend or family member asks you to cash a check, which later bounces. Sometimes it’s a third-party check from a phony prize or settlement. Never cash a check for someone else. The investment scam. Someone asks you to invest money in a business venture. It might be tempting if the request comes from a beloved family member, but always consult with a trusted advisor, like a financial planner, before fulfilling this kind of request. The distraction scam. This scam often happens when someone comes to your home to repair something or help out around the house. While you’re distracted, they steal things or unlock windows so they can return later and rob your home. Prescription medication is commonly stolen in these situations, so lock up your medicine cabinet. Avoid friend-and-family scams by having a trusted circle of multiple people you can rely on to double-check things. For example, if a grandchild asks for money, check the request by making your own phone call to their parent. Or if an acquaintance offers to fix your plumbing, invite another trusted friend over to help keep an eye on things. Consult the U.S. Senate’s website for the Special Committee on Aging, which tracks new scams against seniors.